I made myself the easiest and most delicious lunch yesterday! In fact, the recipe was SO simple, I almost didn’t blog about it. But then as I licked my bowl clean, I realized it was my duty as a food blogger to share this soup with you so that you, too, can experience a mind blowing sweet potato epiphany. To start, let’s just agree that coconut milk and baked sweet potatoes belong together like cupcakes and buttercream. Like bacon and eggs. Like strappy sandals and pedicures. And when you blend them together, along with a little bit of spice and some veggie stock, you have one of the simplest (and most delicious!) soups out there. And that’s it! Lunch really couldn’t get any easier. Yesterday I enjoyed my bowl of coconut curried sweet potato soup with a warm corn tortilla slathered in jalapeno cheddar hummus and topped with feta cheese. Next time I make this, I’m going to stir some pan seared shrimp in at the end. The simple, vegan version was delicious though and perfect on a cloudy, cool Spring day. Bake sweet potato for 45 minutes or until very tender. Remove from oven and let cool. Mmmm, that soup looks so velvety and delicious! Mmmm, this is a definitely must-try! Looks spicy, sweet, and delicious! definitely attempting to double this for dinner tonight! Yummm this looks so creamy and delicious! I love sweet potatos and even though it’s spring, soups have been my lunch preference for the last week or so. Great recipe Jenna! WOW, that sounds really fantastic! Yum! 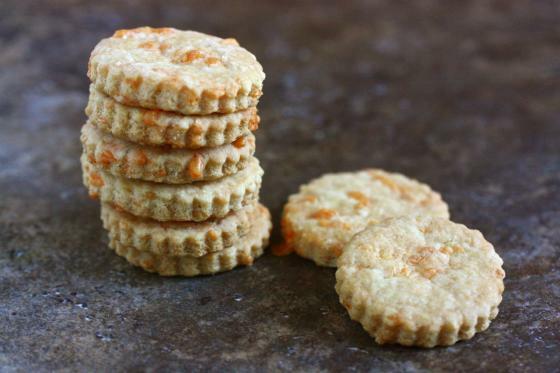 The coconut + spices sound like they would be amazing with the sweet potato! Wow. That sounds AMAZING. I want that for lunch please! I made a soup very similar to this two weeks ago. I love the texture the sweet potato brings to the soup! I used regular cream in mine because I was afraid to try coconut milk!!! Does coconut milk have a really strong taste? AFRAID??????!!! Yes, Coconut milk DOES have a strong taste! That’s what makes this soup so delicious! You missed the best part!! I love it. That soups looks so thick and creamy! Perfect! Oh my gosh, I cannot wait to make this! Thank you for posting – especially since you almost didn’t. I can tell this recipe is going to be a keeper. It’s 8:30 am and I am craving sweet potato / coconut milk soup for breakfast!! Jenna, that sounds delicious! I love this. I have a can of coconut milk in my cupboard, but it doesn’t say “light”. Would this make it a lot “less” healthy? Also, I heard some sweet potatoes have lots of sugar…is there a certain type I should look for? I know you’re super busy, so no hard feelings if you can’t respond 😉 Cheers! 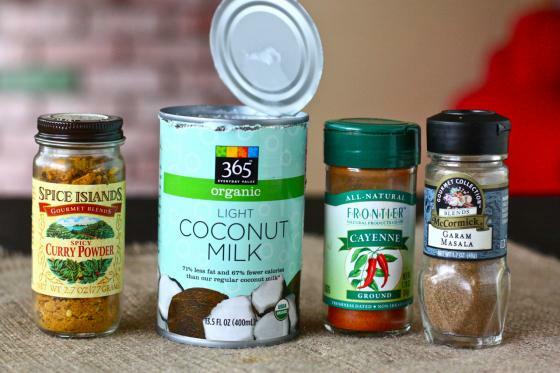 I never use coconut milk, but that is a great idea! What a creative and unique recipe! looks great! i make a similar soup 🙂 delicious! Mmmmm, perfect for spring, I think the coconut milk lightens it up perfectly! I’ve never had coconut milk in soup but it would make it thicker. Sweet potatoes anytime! I love simple soups! This looks so good! glad you decided to share this one! I just might make it. I think I’d love some shrimp in this too. Mmmmm. I love the bright orange color. This sounds perfect for a rainy day on the east coast, like today. I ALWAYS order sweet potato soup when I go out but for some reason never make it at home. Why, I don’t know, but I gotta try this! Looks delicious. 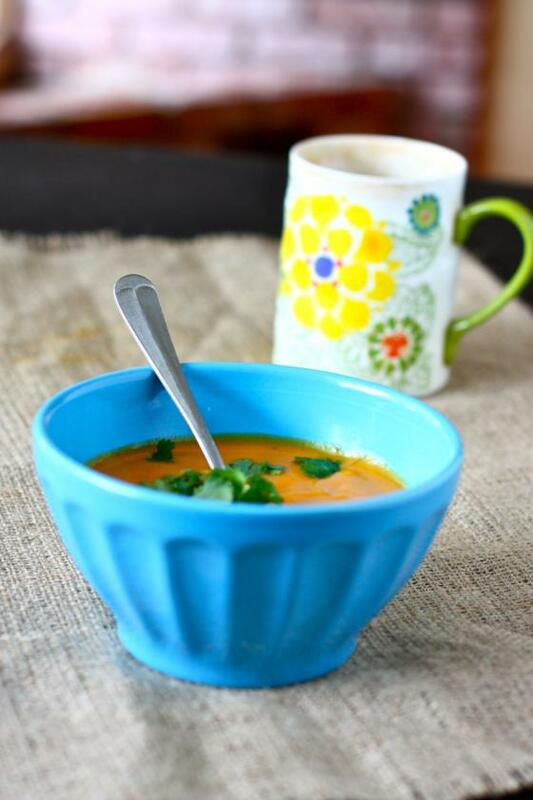 I love fabulous easy soups – such a great way to have a healthy easy meal for lunches at the office. Good call on adding some shrimp next time. That sounds delicious! I’m trying to ease myself into liking curry, and this might be the way to go. Yes, definitely agree that shrimp would add to this soup. It looks great! What a lovely looking soup. I second that shrimp idea too! Wowow- this looks so delicious. So quick and easy! Yum! p.s. It might even be good with butternut squash instead of sweet potato! Yummy, and easy enough for any random day! I have a couple sweet potatoes sitting in my kitchen that yell at me to use them every time I walk by. This lookes really good. I recently made a coconut curried cauliflower soup from the Whole Foods site. It was “eh.” This looks like a much better combination! Yum and easy? I can get behind this. And definitely adding shrimp. 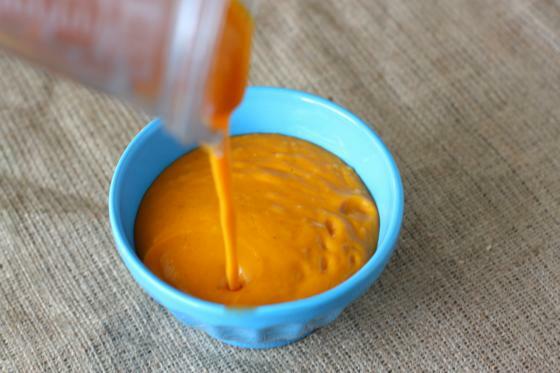 Sweet potato, curry and coconut milk were seriously meant to marry together in a bowl. This sounds amazing and looks so creamy. I love how simple this recipe is! And incredible flavors of course. Perfect for a lunch! Love soup….that looks and sounds delicious. I don’t think you have any idea how many of your recipes I star in my reader! I am stocking my freezer and preparing for guests this weekend and will be making 3 of your recipes including this one tonight . Right now I am really hungry though and want this immediately!!! Anything this easy is a yes in my book 🙂 Plus, life is just always betta with feta. Can’t deny. I’ve seen a lot if recipes I wanted to try that included garam masala, but I don’t have any. this is the one recipe that has convinced me to go buy some. This looks amazing again, Jenna. You do show us some awesome stuff here! What a great idea! I bought wayyy too many sweet potatoes by accident (if you call that an accident! haha) but now I know what to do with them! I love the idea of adding some shrimp. The consistency of this looks perfect. Two of the best ingredients you can work with in my opinion! The sweetness of the taters coupled with the rich creaminess of the coconut milk……FABULOUSO! oh.em.gee. I’m wowing over here. this looks (& sounds) unbelievable! Easy soups like this make me so happy! This looks lovely. Great recipe! That soup looks delish, and so easy! 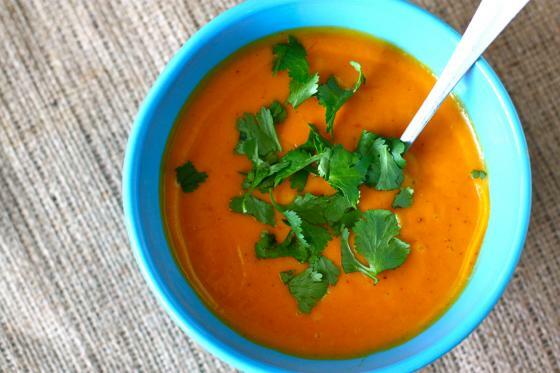 I’ve tried a few prepared sweet potato soups and haven’t found one I like. I’ll have to try this for sure! Simple is great! This sounds wonderful, the flavors (coconut milk, garam masala, a sweet potato..you can’t go wrong!) and the fact that it’s so easy just makes me even more inclined to make it! hmm it might have a little bit of a thinner consistency because pumpkin is a lot softer than a baked sweet potato. You could try it, but add less chicken broth to get the consistency you desire! A have a gajillion sweet potatoes to use, thank you!!! I love how simple this is…. easy and sounds delicious… my kind of lunch!! Wooow, this soup looks lovely and soooo delicious. This looks delish! I’m glad you decided to share – I’m a huge fan of simple meals with a few ingredients. Can’t wait to give it a try soon!! i love sweet potato and curry combo – I made latkes once! I also love the cilantro additive, since it’s one of my favorite flavors! Try this! I had a butternut squash going bad on the counter, so I used that in place of the sweet potato. First I sauteed some garlic then added curry, garam masala and ginger. I used a whole can of light coconut milk and about a pound and a half of chopped squash, bringing that to a boil and then simmering it until it was really soft. I used an immersion blender to finish it, but I left a few chunks of squash. It was delightful! 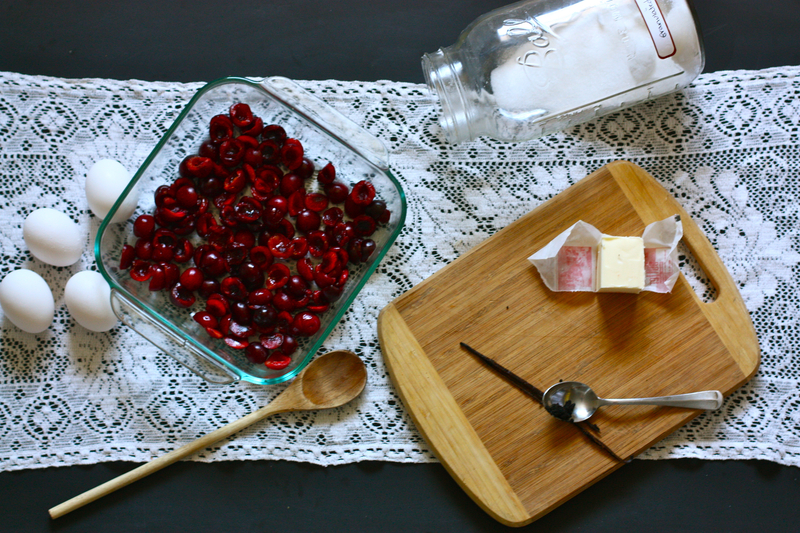 It is amazing how some of our simplest creations almost don’t get blogged about. 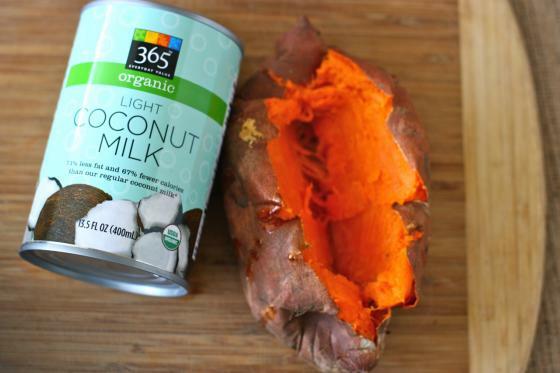 So happy you did – you are right the perfect combo those sweet potatoes & coconut milk! Yum! I love the combination of coconut milk, curry and sweet potatoes! Made this last night for dinner and it was perfect for a cool spring evening. Quite delicious! Thanks for the recipe! definitely making this this weekend!!! thanks!! I’m a sweet potato fanatic, and you just blew my mind. Woah there. Dinner last night: Sweet Potato soup and eggplant Focaccia | Shutterwhat? I just tried this recipe last night, and it was AMAZING! I got a little heavy-handed with the red pepper flakes (I didn’t have any cayenne), but I loved it anyway!! I microwaved the potato instead, kept the skin on, and had dinner and an extra serving for today’s lunch ready in like 5 minutes total. Oh I also added chick peas after I blended everything, for some extra protein. This was probably one of the best soups I have had in a while, and so easy! Made from leftovers in my fridge (left over sweet potato and can of partially used coconut milk). It was perfectly spiced! I had it along side some carmelized onion meatballs and asparagus…. YUM! I made this a few weeks ago, and it rocked. Yesterday, I had a craving, but no sweet potato. So, I subbed in canned pumpkin (almost a full can), and nixed the broth entirely 🙂 Voila, creamy deliciousness, and no need for a blender. I also added half a can of chickpeas and half a can of corn to beef it up a bit… love. Had leftovers for lunch today, still amazing. Thanks for the continued inspiration, Jenna! 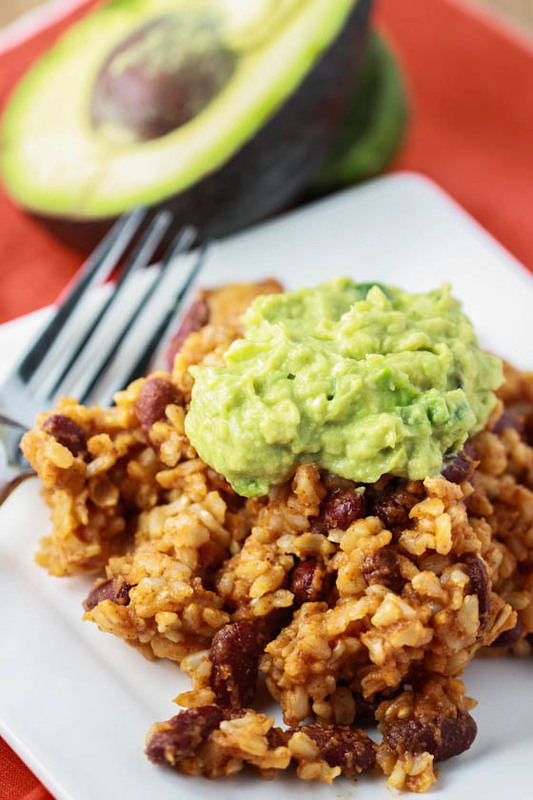 Made this tonight… delish and so easy!! Yum-o! I think some of the simple recipes are the best. Going to make this tomorrow. Easy and healthy! Sweet potatoes cook in just a few minutes in the microwave and they come out the same as they would from the big hot oven. I won’t cook them any other way now! Can pumpkin be substituted for the sweet potato? I think it could definitely be substituted! However, I would leave out the cayenne and experiment a bit with some traditional pumpkin pie spices (cinnamon, nutmeg, etc.). I think it’s really easy to play with the flavor profile on this recipe!